Jessica Fullmer is founder and CEO of Mo-DV. Mo-DV was formed in the summer of 2002 to use memory cards for video in mobile devices, demonstrating full motion VHS-quality color video. Founded and grew the Sustainable Business Institute, a nationally and globally recognized institution for the business community to take the lead in implementing worldwide sustainability practices where she managed hundreds of people. She was responsible for obtaining over $3 million in funds, goods and services to fund operations and activities to build brand and products for the globally respected and recognized organization, the Sustainable Business Institute. As Western field Coordinator, Jessica managed over 250 sales agents and 12 branch managers at a p harmaceutical/cosmetic firm. Her organization had top sales, internationally, 10 years consecutively. Western Field Coordinator. 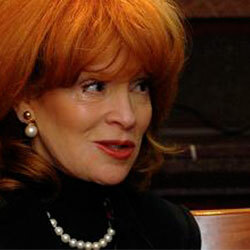 She was one of 5 people to be advisor to chairman of the Board for product development and strategy. Consulted for several hundred organizations within the private sector, government, and education (including teaching at numerous colleges and universities). During that time she worked with numerous special government groups, the last being the merger for Lockheed Martin for the first commercial strategic planning off-site, that led to closing a multimillion dollar client. Fullmer was mentored and trained by Dr Edwards Deming and his protégées. These are methods and practices that explore the concepts, processes, and skills necessary for sustainable change in a quality-focused corporate culture. IBM, Intuit, NASA, Avery Dennison, and Lockheed are a few of the companies that Jessica has worked with in that field. To read more about Jessica Fullmer, visit her personal site.